100% waterproof football, great for pool, beach or backyard. Heavy duty stitching, long lasting air-retention bladder and double-tuck laces for an incredible grip in or out of the water. Durable cover can handle multiple surfaces yet soft on impact. 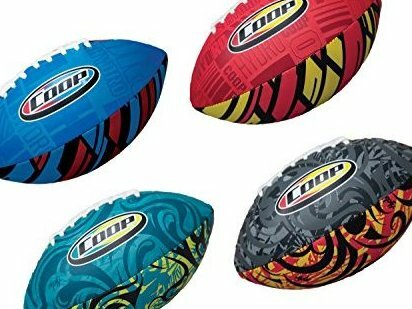 Includes one 9.25" football in either blue, red or grey - color and style you receive will vary Recommended for ages 5 and up.